Our 13 days in the high Sierra wilderness were amazing. The following updates are spotty and incomplete but they provide a snapshot and idea of some of our experiences. Trying to keep current across two weeks of three persons' perceptions and recollections has been complicated. We'll fill in more as we can! 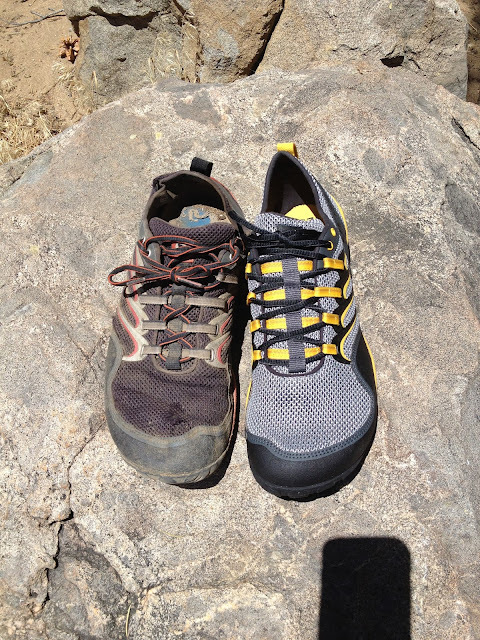 Dionysus's shoes before and after 700+ miles. 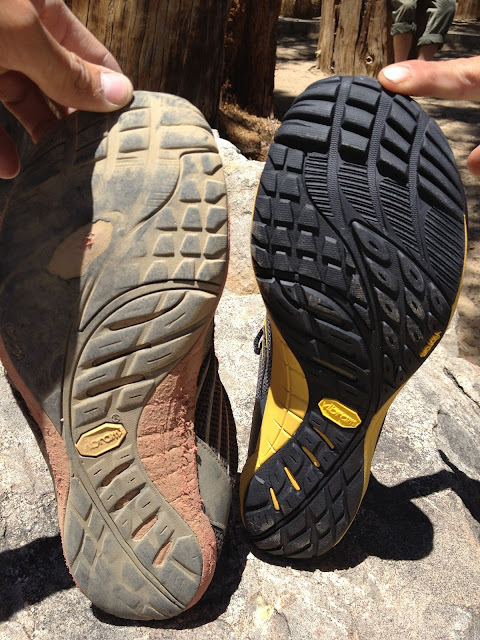 Another pic of Dionysus's shoes before & after 700+ miles. He wears them barefoot -- no socks -- and it works for him. Amazing. An improbable feat, as it were. The smell, however ... well, improbable feet. [By the end of the PCT, however, Dionysus decides he would not recommend this shoe choice to others. He credits the lack of arch support to a pretty deep stress fracture].